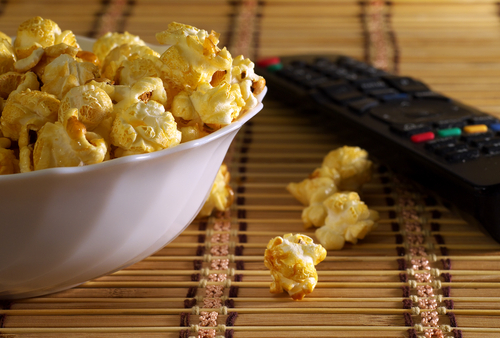 Owning a home theater offers you many advantages, the least of which is being able to watch your favorite movies over and over again without the hassle of getting in your vehicle and traveling to a complex, buying tickets and more. Another perk is having cinema-quality sound right in your own home. To have such quality, however, you must have proper audio cables. Choosing the right one is crucial to your system. Not all RCA cables will fit every system. 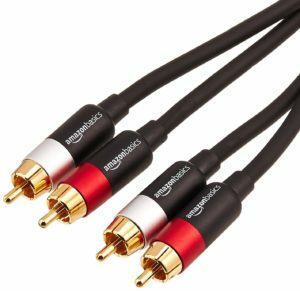 Before buying a budget home theater RCA audio cable, make sure that you know what model and type system you have so that you get the proper fit. 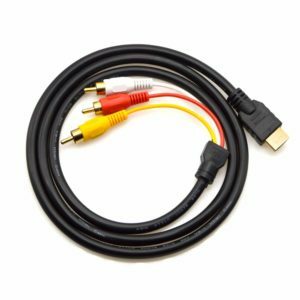 Connect your smartphone, tablet, or MP3 player to a speaker, stereo receiver or another RCA-enabled device to your home theater through one of these cables that run from four feet to 25 feet long. This “aux adapter” has a 3.5mm male connector on one end along with two male RCA connectors on the other end. You can easily use this cable with devices that have right and left audio inputs. This cable has polished metal connectors that have dual shielding and a gold-plated connector that produces clear audio. This cable provides one-way transmission from an HDMI device to an RCA. Make sure that your device has signal coding and decoding functions as this cable is not compatible with laptops, personal computers, DVDs, ROKU and many gaming devices. When using this cable, remember that the RCA end will plug into your television or computer. It is ideal for HDTV receivers, regular televisions, high-definition DVD players audio-visual receives and other HDMI devices. Ideal for home entertainment and high fidelity audio systems, these 2-male to 2-male connectors will enhance your audio connections to produce better sound. 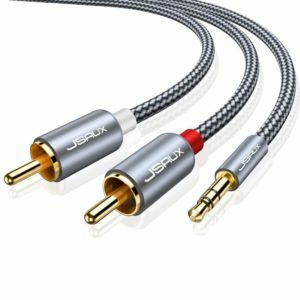 You’ll get eight feet of cable and gold-plated full-metal connectors that eliminate unwanted noise to produce clear audio with minimal signal loss. Red and white color-coded connectors make easy work of hooking up right and left channels. 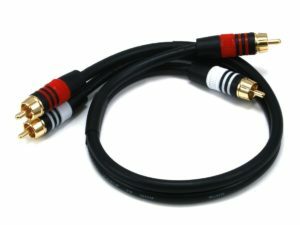 Use this cable for both high-frequency or low-frequency/subwoofer connections. 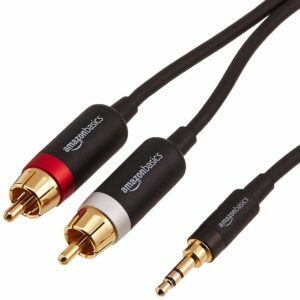 Dual-shielding gold-plated connectors and oxygen copper wire core makes this RCA cable less susceptible to exterior interference to give you premium quality audio. This RCA cable with a Y splitter will give you a superb fit across a wide variety of devices that include smartphones, tablets, MP3 players, speakers, amplifier, stereo receivers, televisions and automobile audio connections. This portable and flexible cable does not need a driver. Just plug it into a compatible device and play. This cable will not work with desktop computers, laptops, PS4 and XBox game systems and DVDs. The bonded design of this cable minimizes tangles and delivers excellent audio performance. Gold plated connectors give you superior audio sound as well as stable video transfer. If you’re looking for a basic RCA cable, search no more. The short 1.5-foot length is great for areas in back of your home theater setup where you already have a collection of cables. This audio cable is made of RG-59 75 ohm coaxial construction for to produce premium two-channel audio. Its 22AWG conductor prevents EMI or FRI interference in the audio portion of your system. Dual male connectors let you use this cable with standard stereo left/right outputs. 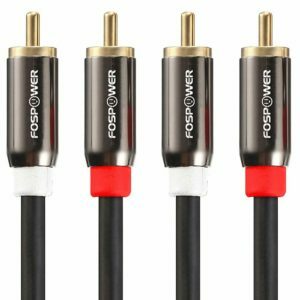 This three-foot, two-channel cable delivers professional quality audio transfer from your stereo, audio receiver, DVD or Blu-ray player. Equipped with an oxygen-free copper corse, this cable also prevents EMI ad FRI signal interference that ensures high audio quality without popping or static. 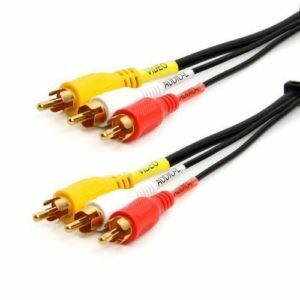 Replace your old composite cables and immediately get better audio and video from your home theater system. You’ll have six feet of cable to connect devices such as DVD players, VCRs and satellite converters through silver-plated male connections on both sides. Color-coded with red, white and yellow connectors, you’ll be able to easily hook up your devices. 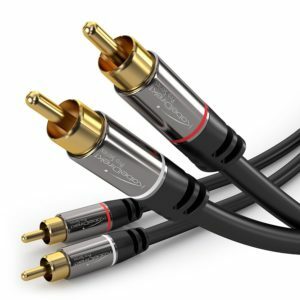 Equipped with gold plated male connectors to resist corrosion and reduce tarnish, the three-foot RCA cable gives you sufficient length for your connections along with outstanding audio performance. Made with copper braided and aluminum shielding for flexibility, this cable’s construction greatly reduces EMI and RFI interference while the polyethylene foam dieletric insulator also minimizes signal loss. Its tin plated copper core helps increase wire life. 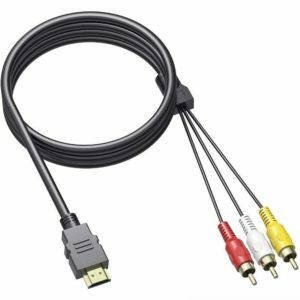 If you still like to play media on your old DVD and VCR players, this is the cable you need to set up the connection with your television. 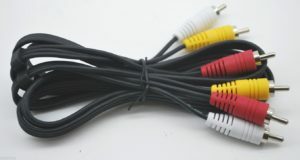 Each side has three color-coded male connectors allowing you to easily connect video through the yellow connectors and let and right audio through the red and white connectors. Six feet of cable allow you plenty of room to move.